Posts tagged "Sugar and Skin Spa"
Here at Sugar and Skin Spa we feel it is very important to educate about Why Sugaring is Better Than Waxing! Many people, both men and women have facial or body hair they would rather not have. They don’t like it and would like to have it removed. They are many ways to remove unwanted hair: shaving, waxing, laser, tweezing, threading and sugaring. Today I want to focus on the pros and cons of Shaving vs. Sugaring. I want to talk about shaving because it is the most common form of hair removal. 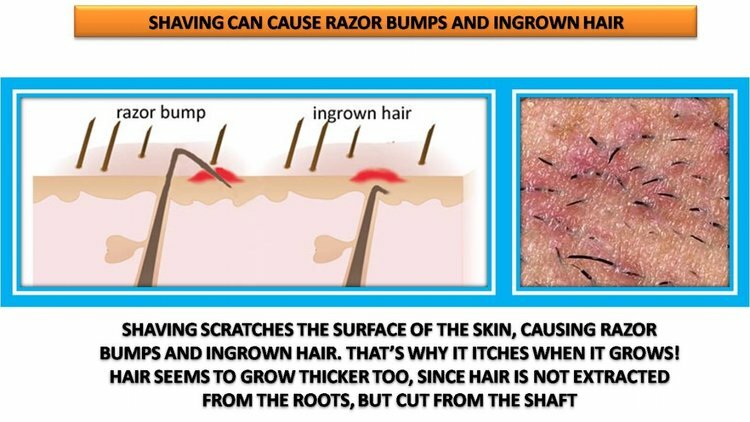 Probably because it is usually convenient and easy for most people to simply grab a razor and cut the hair down to the level of the skin. It would be like mowing the grass to the level of the ground. Mowing the grass is very similar to shaving in the way it reduces the length of the hair or grass as the case may be. However, although it may be more convenient there are definitely some drawbacks to shaving. One statistic I think is interesting is the cost and frequency of shaving for women. Women who shave can spend up to $10,000 dollars in their lifetime on the items needed for shaving! 10K !!! That is a LOT of razors and shaving cream ladies! And most women shave 12 times a month!! That is a LOT of time spent in the shower or bath removing hair. Well, actually the hair isn’t really being removed, it is really just being shortened. So 10k a year, and 12 times a month to shorten the hair. It is still there, in the skin, just waiting to pop through. Which it will..…every time. Also, shaving is time-consuming and can be rough on skin. Think about it: scraping your skin with a sharp razor. Cutting yourself and wearing down skin cells can occur. Not to mention, exposure to all the chemicals in shaving cream or soap can build up over time. However, I think the thing I hear the most from my clients is the fact that they have decided to try sugaring because they are just really tired of the razor bumps they get when they shave. Red, itchy, painful……YUCK! I can’t think why anyone would want that! What exactly IS Sugaring and how is it done? 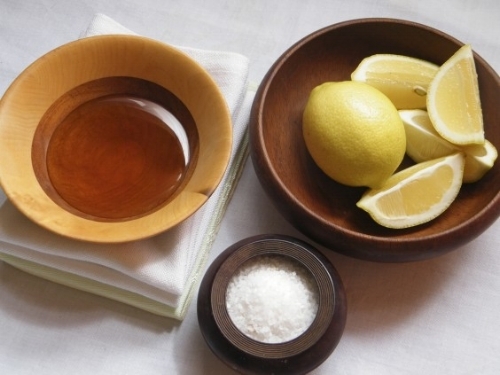 Sugaring is one of the oldest forms of hair removal around. It dates back to Cleopatra’s time, and is gaining more and more practitioners and clients! The Sugaring technique uses a sugar paste made from sugar, lemon juice and water. This paste has NO sticky resins, chemicals, preservatives and dyes that conventional “strip” or “hard” wax contains. This makes it a lovely natural alternative that works even for clients with very sensitive skin! The paste is warmed to room temperature, and applied against the direction of hair growth. It is then removed with a “flick” of the Esthetician’s hand. It is removed with the natural direction of the hair growth. Also, the sugar paste never adheres to live skin, but only to dead skin cells. The paste permeates into the hair follicle, effectively removing the hair and the inner root sheath (the white, waxy bulb you find at the end of your hair shaft). This removal is also a gentle, yet effective exfoliating treatment that leaves your skin silky, sweet and smooth after the process. Where on your body can you get Sugared? Anywhere, really! Legs, arms, bikini area, lips, even underarms—anywhere you’d like to remove hair as long as the hair is long enough to pull out. So what is the appropriate length? Sugaring requires one-eighth inch of hair, about the length of a grain of rice. This is the length it typically grows just five to seven days after shaving. However because I like to be COMPLETELY transparent I also want to mention the pros and cons of Sugaring. Can take longer than traditional waxing, depending on body area being treated. While there are some cons to Sugaring the Pros greatly outweigh them! So if you are curious, or convinced that Sugaring might be for you, I suggest you go ahead and book an appointment with Suffolk, Virginia’s sweetest spa, Sugar and Skin Spa, and gain more confidence with your body as our expert Sugarists rid you of that unwanted hair.